Welcome to the 5th Annual "Jingle Fest" Holiday Craft & Gift Show. Our goal is to provide a fun holiday shopping experience while raising funds and awareness for Meals on Wheels Kitsap. This is going to be a great event spotlighting wonderful artisan crafters and direct sales products. We look forward to your attending and support. 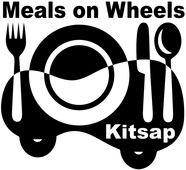 Who is Meals on Wheels Kitsap? Meals on Wheels Kitsap has provided seniors in Kitsap County with nutritious, well-balanced meals served at one of nine community dining sites or delivered directly through our home delivered meals program for the medically-homebound since 1973. 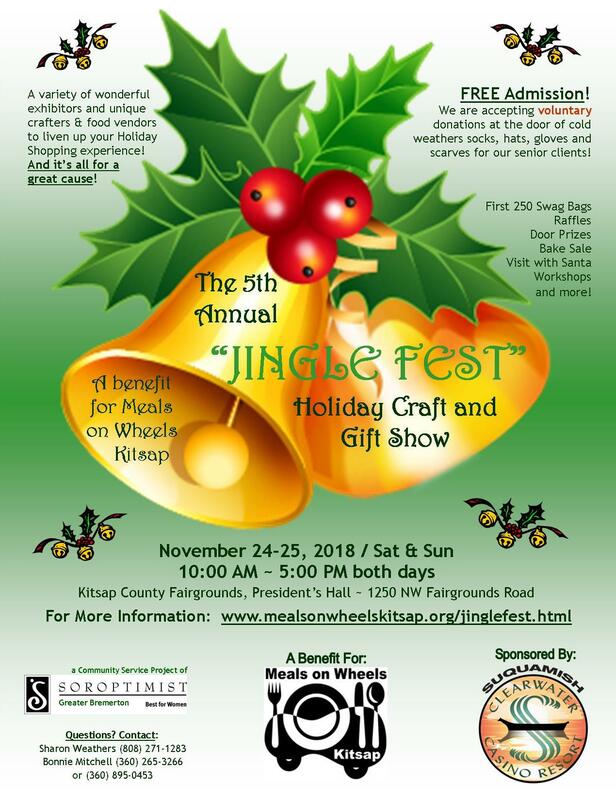 This year, Jingle Fest will be held on Small Business Saturday, November 24, 2018 and Sunday, November 25, 2018. Doors open to the public at 10:00 a.m. and the event concludes at 5:00 p.m. both days. We have lots planned for this year's event and look forward to seeing all of you there. Check out what our amazing food vendors will be serving up that day! YUM! Participate in our special raffle; all items donated by our wonderful exhibitors! and so much more! Please check back often for updates. Are you accepting exhibitors and vendors for this event? As of Tuesday, September 18, 2018, we are no longer accepting vendor registrations for our 2018 show. If you are interested in being added to our contact list for 2019, please click here to submit your contact information. Thank you so much for your support and interest in Jingle Fest. No, this is a "family friendly" event and all ages are welcome. We invite you to bring the whole family and spend the day with us. There is no cost to attend. Admission is FREE to all. We are, however, accepting voluntary donations at the door of cold weather items for holiday gift bags for our home-bound senior clients! Do you have a suggested list of items to donate? Yes, below is a recommended list of items you may wish to donate. Please be sure they are Unisex -- not specific to male or female. Also, for the health and well-being of our senior clients, please be sure the items are new. Yes, FREE parking is available in front of President's Hall and in the lower lot adjacent to the Kitsap Sun Pavilion.